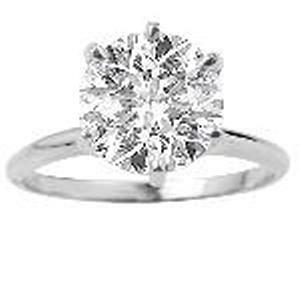 2.00 c.t.w Diamond Solitaire.The secret to true beauty is simplicity. The sleek, clean lines of this classic solitaire engagement ring will always be in style. A stunningly clear 2.00 carat diamond sparkles in a 6-prong setting of rich 14 karat white gold. 3/8 ctw Sapphire Ring Wrap.